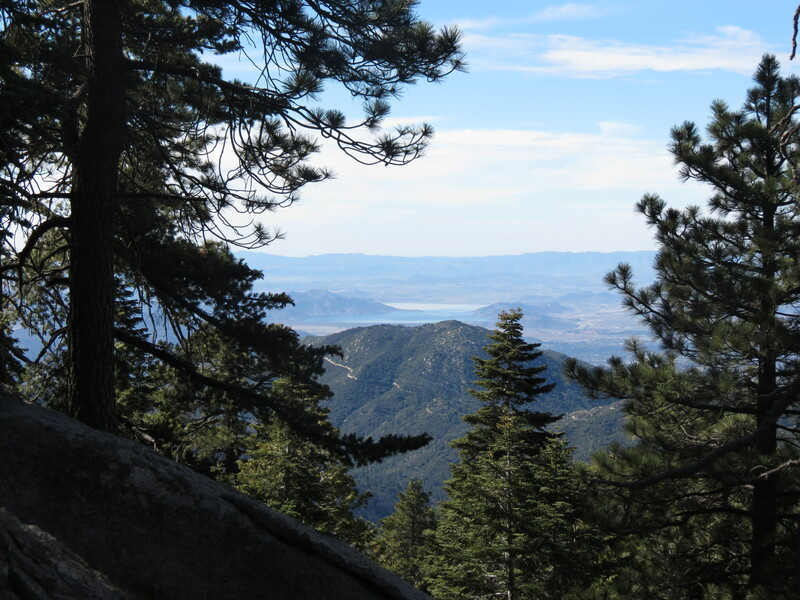 Seven Pines Trail - San Bernardino National Forest - Beyond Limits on Foot! To get to the trailhead: From the 243 turn onto Forest Road 4S03. Turn right (north), follow the road past Dark Canyon Campground to the trailhead. There is a small dirt parking lot in front of the trailhead. Make sure you place your National Forest Adventure pass on you rear view mirror and you filled out a wilderness permit (free) at the Ranger Station. Wilderness permits are available at San Jacinto State Park headquarters (Highway 243) or at the Idyllwild Ranger Station (Highway 243 and Pine Crest Drive). Since the last hike, we’ve wanted to summit San Jacinto, but once again time did not permit us to do so. We were unable to start the hike until 1100. There were only a couple cars parked at the trailhead. The idea: let’s see how far we can get till the next trailhead time-wise and make a decision to summit or not there. Elevation at trailhead is 6320 feet and to the next junction we would rise 2300 feet and end up at Deer Springs Trail, 3.8 miles later, at an elevation 8620 feet. This part of the trail follows the North Fork of the San Jacinto River and seemed a bit tougher than the Marion Mountain Trail that we did one week ago. Walking through the heavily forested area, we were unable to see the amount of views as from Marion Trail, but did get the chance to cross over the stream 4 times and hit plenty of switchbacks, which offered little views of the surroundings. Picture: View of Lake Hemet from above. We did not take a break till we hit Deer Springs Trail, breathing heavily and having to layer up when we reached the junction. It was 1245; 1 hour 45 minutes for 3.7 miles and 2300 feet up; the summiting of Jacinto seemed out of our grasps yet again. After playing with some numbers, we decided to instead head back down the mountain to our car. We would not have summited till 1500, which would probably have put us at our cars past sunset. Not prepared for an event like that. Disappointing for not summiting, but the hiking fix settled in and we were still content laying on the flat rock in the sun near the junction eating our much anticipated lunch. We hadn’t seen a person until we stopped here, a couple backpackers that summited overnight. We headed back down through the dense woods, not running into any living soul. Note to self: Stay overnight close to the trailhead to get an early start; don’t let the sun run you out of the mountains, unless you like hiking in the dark.